On the International Day of Forests (March 21), Eurostat released a report showing that 43 percent of the European Union’s land is covered by forests, with nearly 182 million hectares recorded in 2015. Wooded land covers a slightly greater proportion of the land than the area used for agriculture (around 41 percent). There are seven EU member states where wooded land took up more than half of the territory in 2015 – Finland, Sweden (both with more than three quarters of land covered in forests), Slovenia (63 percent), Estonia, Latvia, Spain and Portugal (between 54-56 percent). Of the total area of the EU covered by wooded land in 2015, Sweden and Finland together accounted for 29.4 percent. Forests play a significant role in reducing greenhouse gas emissions. 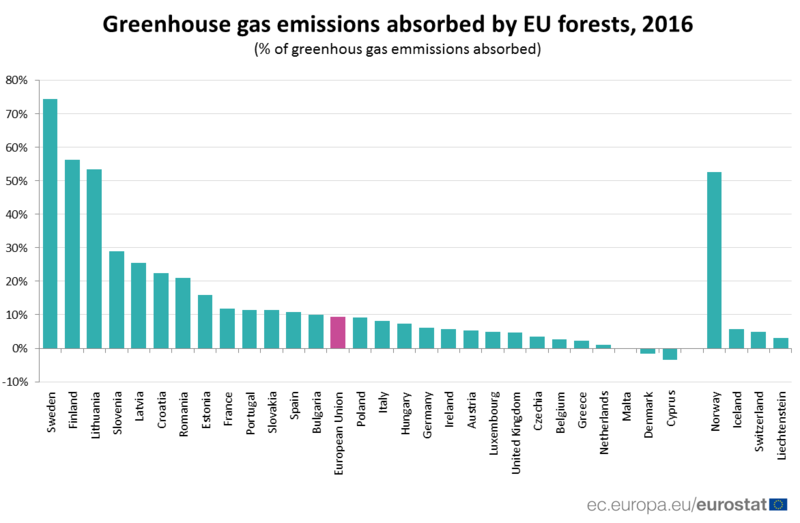 EU forests absorbed 417 million tonnes of CO2 equivalent in 2016, corresponding to about 9 percent of total emissions, compared to less than 7 percent in 1990. Forest land absorbed 74 percent of CO2 equivalent in Sweden, 56 percent in Finland and 53 percent in Lithuania in 2016. According to the Environment Ministry, over 27 percent of Romania’s land is wooded. The country had 21 percent of its greenhouse gas emissions absorbed by forests in 2016 according to Eurostat data. The post Forests cover 43 percent of the EU’s land appeared first on Business Review.